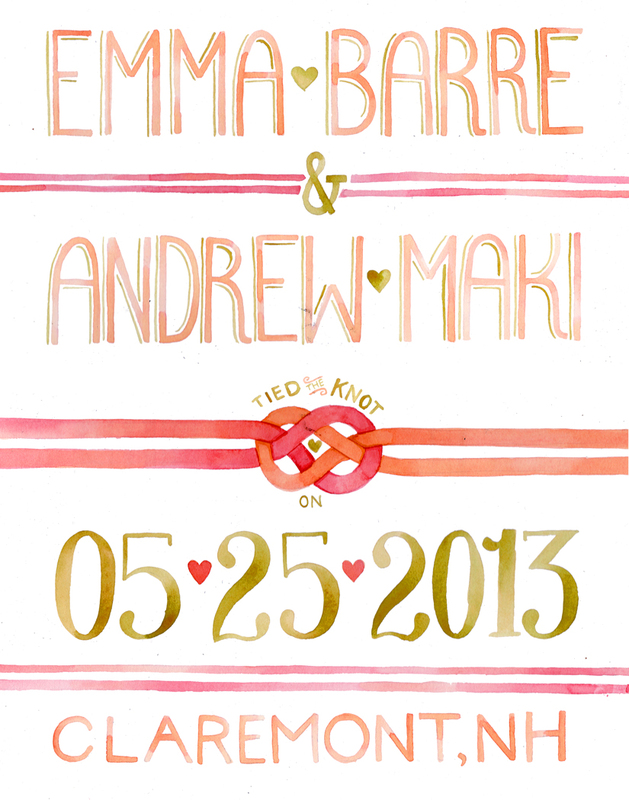 Watercolored hand lettering for a commemorative wedding piece. A little piece commemorating a special date, place, and the lovely people that tied the knot. © Becca Cahan 2018 | Email with questions | Please do not use images or content without written consent.